The Baker Hughes weekly rig count showed a decrease of one working rig to bring the U.S. total to 1,345. In terms of mix, there were three fewer oil rigs and two additional gas rigs working. 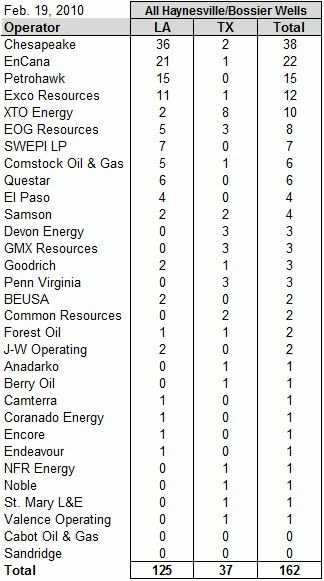 Interestingly, there were eight more vertical rigs working this week than last and a decrease of five horizontals and four verticals. 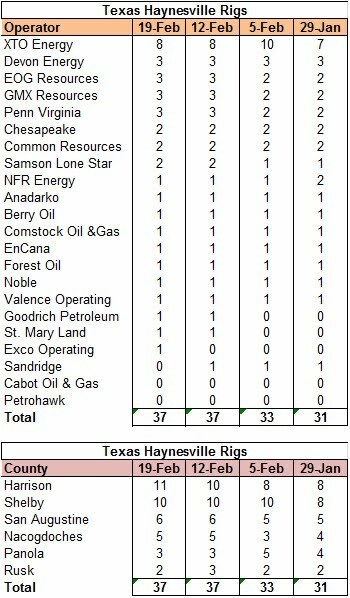 In the Haynesville Shale region of E. Texas and N. Louisiana, inclusive of other formations, the rig count was down one, with two fewer rigs in E. Texas and one additional rig in N. Louisiana. By my detailed rig count (based on Baker Hughes data), the Haynesville Shale rig count increased by two to 162. The count in Louisiana went up by two to 125, while the count in Texas stayed put at 37 with relatively little rig movement. Details are posted at the link in the upper right hand corner of the page. The summaries below show the past four weeks by operator and parish/county for each state. 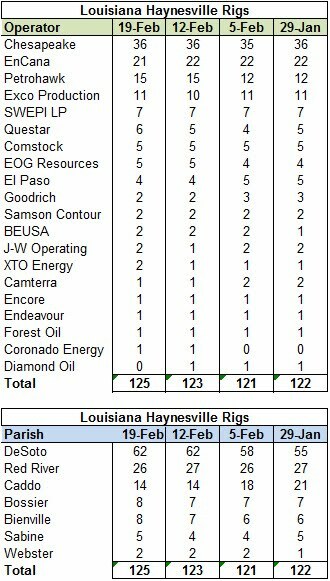 The table below summarizes all of the rigs in the Haynesville Shale by operator.